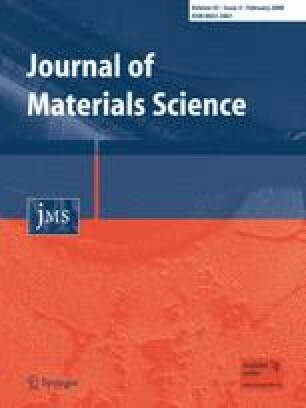 Mesoporous carbons were prepared by treating waste polyethylene film in supercritical water at 550 °C. High-resolution transmission electron microscopy images reveal that the pore wall has a thickness of 3–4 nm and is composed of discontinuous graphitic layers, which are parallel to the tangent direction of the mesopore. Electrochemical measurements show the discharging capacity of mesoporous carbon is up to 348 mAh/g (corresponding to 1.3 wt% hydrogen storage). When temperature is lower than 450 °C, only carbon nanofibers were obtained; on the other hand, if reaction temperature is higher than 650 °C, carbon nanotubes are the main products. The possible conversion mechanism from polyethylene to mesoporous carbons and other carbon materials is tentatively discussed. This work was supported by the Doctor Foundation of Henan University of Technology.